Lobelia is a member of the bluebell family of flowering plants found in North America and Europe. Not surprisingly, then, the low-growing plant produces cascades of vibrant deep purple-blue flowers. Lobelia has a long history of use by Native Americans, who gave the plant many nicknames like Asthma Weed and Indian Tobacco, indicating the herb was once smoked. Other less attractive but descriptive alternate names for this herb include Vomitwort and Pukeweed. The dried leaf and powdered herb of lobelia are typically used to make tinctures and syrups, as well as infusions for use in topical ointments and salves. Lobelia inflata, a member of the Campanulaceae family, is an annual or biennial herbaceous plant growing to 15–100 centimeters (5.9–39 in) tall, with stems covered in tiny hairs. Its leaves are usually about 8 centimeters (3.1 in) long, and are ovate and toothed. It has violet flowers that are tinted yellow on the inside, and usually appear in mid-summer and continue to bloom into fall. The name lobelia is after the botanist Matthias de Lobel, a native of Lille, who died in London in 1616. Lobelia inflata is native to eastern North America, from southeastern Canada (Nova Scotia to southeast Ontario) south through the eastern United States to Alabama and west to Kansas. Lobelia grows in meadows, fields, roadsides, waste places and open woods, in full sun or light shade. Lobelia grows well in heavy clay soils and prefers a slightly acid soil. Propagation is usually accomplished from cuttings or seed. Seeds are sown in containers in mid spring or mid fall. The seeds take about 2 weeks to germinate. The entire plant is harvested when the lower fruits are ripe and it is used either fresh or dried. Store dried lobelia pieces or dried lobelia powder in an airtight container in a cool, dry place. Lobelia is also known as gagwort, vomitwort, and pukeweed. As you can imagine from its name, large amounts of the herb can induce vomiting. However, that’s not what lobelia is used for most in modern herbal medicine. Over the years, Native Americans used lobelia as a treatment for respiratory problems. In fact, it was delivered to the body by smoking it. And while we now know that smoking isn’t the healthiest way to deliver a chemical to the bloodstream, it is effective. In modern medicine, lobelia has been used in many ways. It’s been used as a powder, tea, poultice, and some people even still smoke it. Lobelia has many uses for the body beyond helping to induce vomiting. 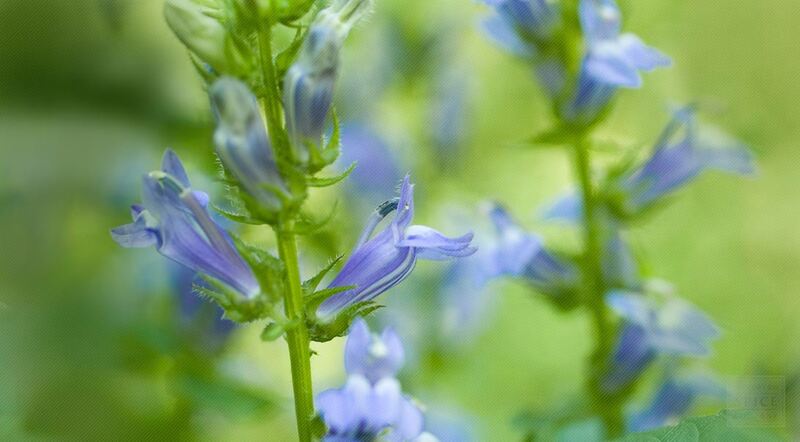 If you’re suffering from asthma, whooping cough, or bronchitis, lobelia can be used as an expectorant to thin out the mucous that’s giving you grief. If you’re having a hard time getting rest at night, lobelia is an effective sedative that can help you fall asleep more soundly. If you’re suffering from fever, lobelia can help to return your body temperature to normal. And if you have an insect bite, lobelia can help to reduce the inflammation and swelling. When you fall and suffer a sprain or bruise, lobelia can help you to reduce the pain and inflammation of the area. One of the most interesting uses of lobelia, however, is as an anti-smoking aid. 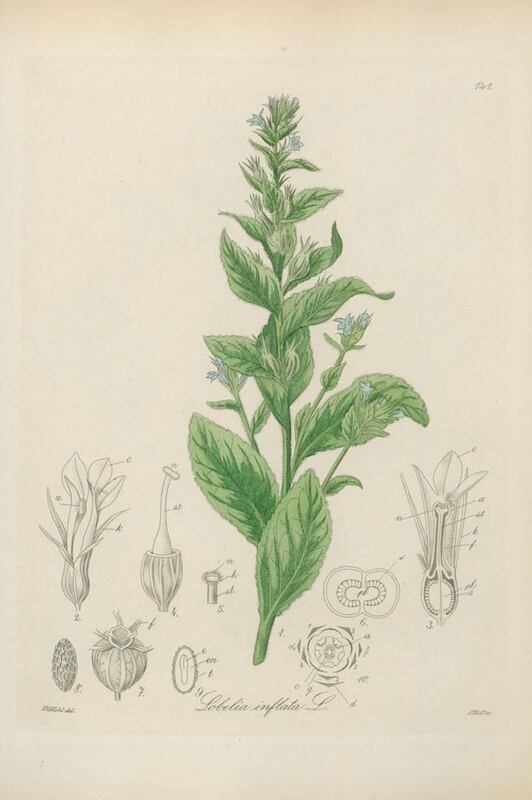 It has been thought that lobelia has some of the same properties and effects on the body as nicotine, but without the addiction and the toxic effects that come from nicotine. However, once scientific studies were conducted it seemed that this wasn’t the best use of lobelia. Lobelia can also have some toxic side effects if used improperly. If you chose to use lobelia at home, make sure you follow the manufacturer’s directions to the letter. It’s even better if you can be supervised by a healthcare professional while you’re taking lobelia to make sure you don’t suffer from toxic side effects. Overdoses of lobelia can lead to side effects that are severe such as nausea, vomiting, convulsions, and it can sometimes lead to respiratory failure. That’s why its critical that you don’t take more than necessary and that you make sure to get the supervision of a healthcare professional who can monitor your use. While lobelia has some helpful uses and can be a great treatment for respiratory problems, it’s critical that you pay attention to safety.